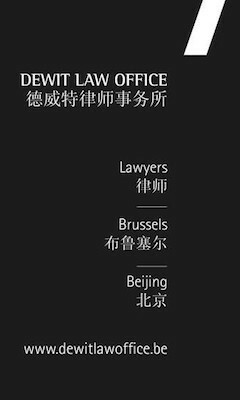 On February 27, 2018, the Belgian-Chinese Chamber of Commerce organized the fifth edition of the Young Professionals Networking Night, in collaboration with no less than thirteen international and local Chambers of Commerce. 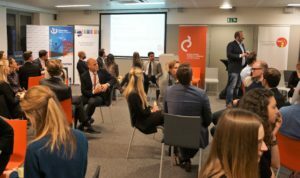 The event set off with a speech on how to improve one’s personal branding both online and offline by networking coach Jan Vermeiren, Founder of The Compassionate Leader and author of the book “Let’s Connect! How to REALLY use LinkedIn” and “Life is a Game!”. Afterwards, the attendees were invited to participate in a networking game, the Be Generous Game, which showed them the power of a network. This was followed by a presentation by Laurentine Van Landeghem, Founder of Clouds of Fashion and author of the book From Blog to Brand. After the speeches, the participants enjoyed some more networking time with the people they had met through the Be Generous Game.